Even though his team went undefeated and won the 2A State Championship, Archbishop Murphy (Everett, Wa.) 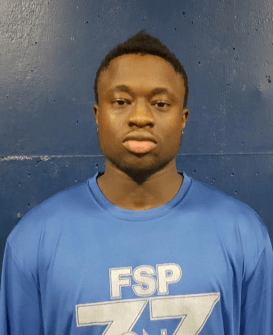 LB/DB Emmanuel Osuoha is still not a household name with recruitniks, but he aims to change that this offseason. Playing outside linebacker on one of the best defenses in the state, Osuoha totaled 34 tackles and four tackles-for-loss while also contributing a little over 300 rushing yards and three scores on the offensive side of the ball. “I’m just a football player,” Osuoha told Northwest Elite Index. “I play the strongside linebacker (SAM) and I feel like I flow to the ball pretty well. Helping Osuoha and the rest of the linebackers this past season was one of the best defensive lines in the state. On the recruiting front, Osuoha has heard from two Pac 12 schools, but he said he realized he needs to get his name out there for coaches to see what he can do. “Arizona and Washington State have both sent me mail, but that’s about it,” Osuoha noted. “I mean, it’s basically just information on their team and their program and stuff, so it’s not really contact from the coaches. At 6’1″ and 195 pounds, Osuoha has the look of a safety, but he does have the frame to add some more size which means he could also be a fit at linebacker. When you watch his film, you see an instinctive player who loves to play a physical brand of football. He’s a player to keep an eye on in the coming months as the recruiting process really seems to hit its stride, so we’ll continue to keep tabs on him and we will update news on him as it happens.